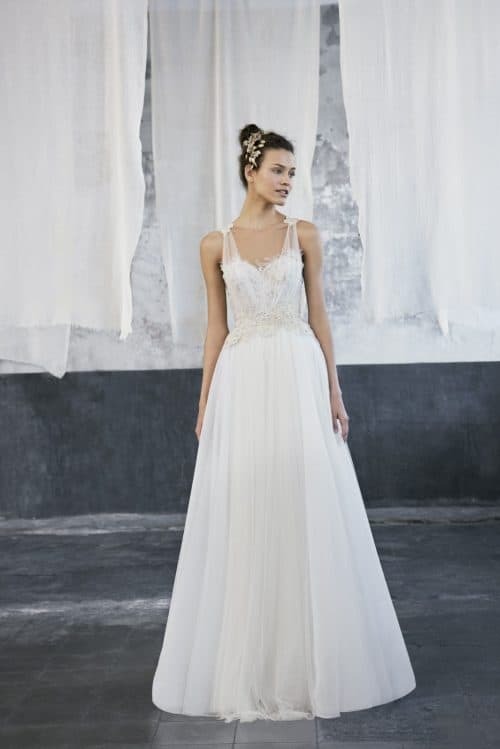 Embroidered tulle wedding dress. Sleeves are cut with spiral form designed with two tiers of silk tulle. The tight skirt fitting on the hip is designed with a front side opening.